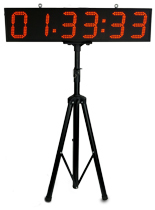 LED Time Wall with UNO? > LED Time Wall with UNO? would it be possible to control a big amount of LED's with one UNO? With 6 digits and each digit has 13 LED's. So i need to be able to control 78 led's. What would be the best solution for this case? Re: LED Time Wall with UNO? each digit has 13 LED's. Not very normal for a seven segment display.